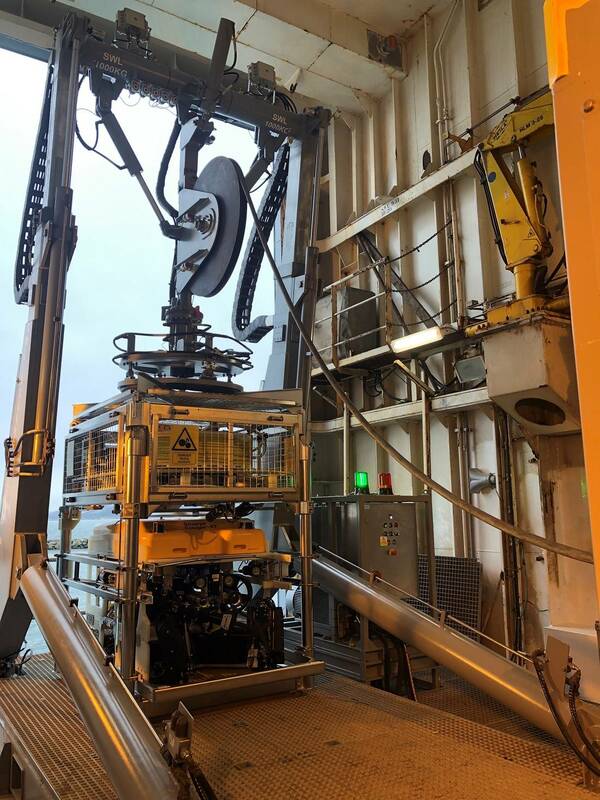 Hydramec Offshore has completed the supply, integration and operational testing of a fully active heave compensated (AHC) launch and Recovery system (LARS) for a Saab Seaeye Cougar XT remotely operated underwater vehicle (ROV) to the New Zealand Navy. The New Zealand Navy having acquired Ostensjo’s EDDA FONN multipurpose vessel for conversion to a diving support vessel required an ROV to assist with Diving support and other operations. 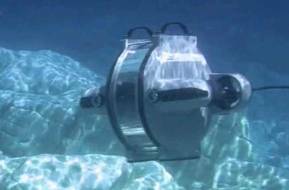 Ostensjo’s chose the Saab Seaeye Cougar XT ROV as it fulfilled all the requirements the NZ Navy were looking for. The Supply Brief for the LARS system was very specific, the winch system had to be Electric Driven and have AHC capability for operations in up to sea state 6. The A-Frame needed to be designed so that it would dip 1.2m below the deck level of the launch hanger to reduce the air gap between the launch point and splashzone. It was also specified that the A-frame must have an outreach of 5m from the vessels side. The only other challenge was the need for the LARS to be designed, fully Lloyds approved and delivered in 16 weeks from the signing of the contracts to meet Ostensjo’s tight schedule for delivery of the vessel to NZ navy. Short deadlines are no problem for Hydramec’s pool of resources with the unique ability to Engineer, fabricate, machine components, followed by applying offshore coatings and assemble all of its products in house under one roof. Giving the ability to control lead time without relying on multiple sub-contractors. Scantrol AS is Hydramec’s chosen supplier of AHC control systems and once again this proved to be an invaluable partnership. Their ability to deliver the exact specification Hydramec require means that Scantrol will always be Hydramec’s first port of call when AHC is required. Hydramec have built Electric driven winches in the past and have delivered many Hydraulic AHC winch systems to various customers, combining the two was the next natural step for Hydramec. Hydramec contracted Brammer AS of Bergen to supply the electric Drive system and invertor controls. Scantrol and Brammer worked closely together with Hydramec’s project team to make the integration of the control system and the drive system into the LARS run smoothly and without delay. The LARS system was very high specification including a tele scoping A-Frame, multi function snubber, bunded deck and separate hpu, all controlled by a full wireless radio remote control fully integrated with the AHC by Scantrol.